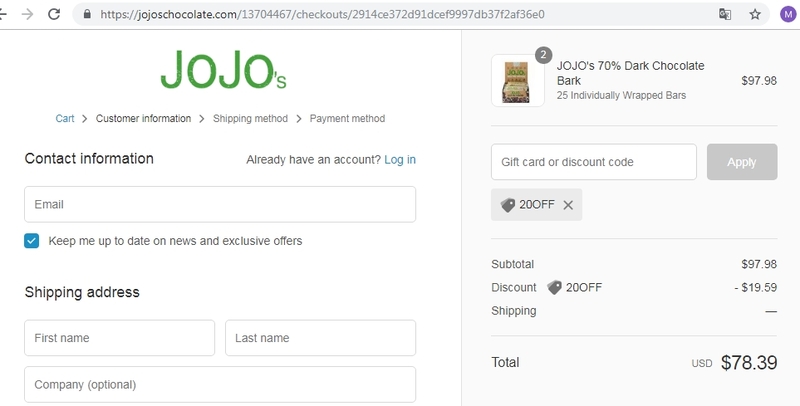 Expires in 2d . Last validated 2wk ago . Used 17 times. Lismary Jaramillo I am validating that this deal works as described. 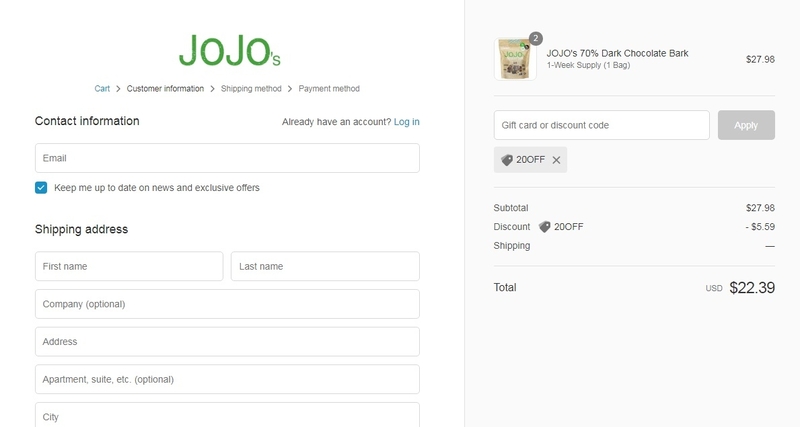 Just apply the promo code at the shopping cart and get 20% Off Your Order at JOJO's Chocolate (Site-wide). gabriela Hernandez I am validating that this deal works as described. 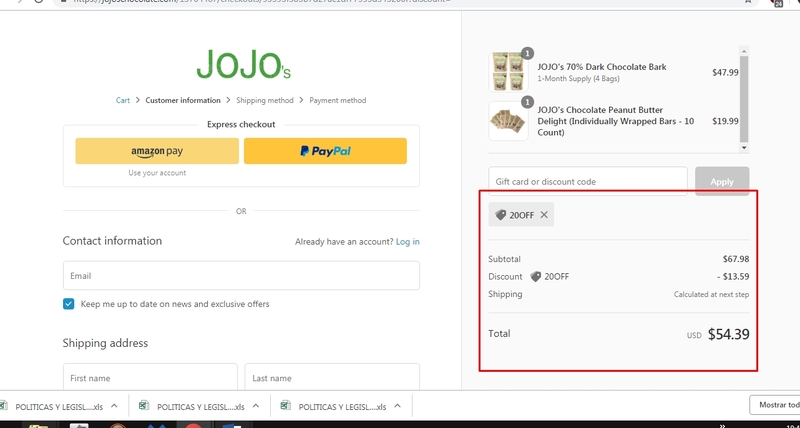 Enter the promo code during the checkout process to receive this discount. There may be some exclusions that apply to this deal. Mariangel Gomez I'm validating that this deals works as described. 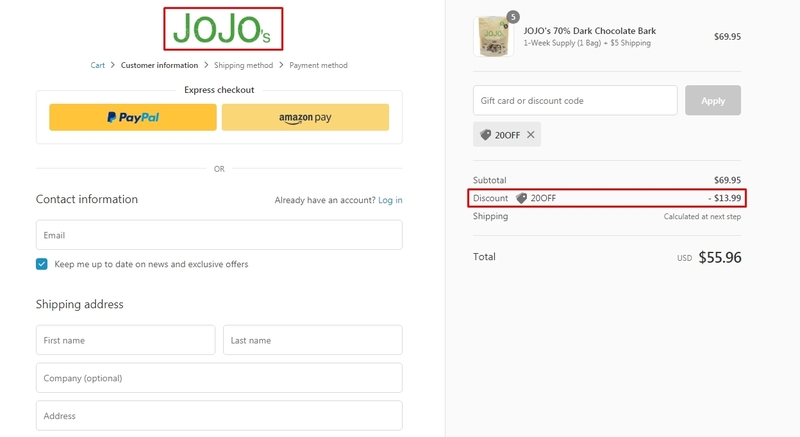 Go to JOJO's Chocolate, add the item to your shopping cart. Enter promo code and save 20% discount off your order. ramonsito I am re-activating that this deal works as described. Just type the promo code into the promotion code box and click apply to enjoy the promotion. Some exclusions may apply. Leng-Leng As of 8/20/18, I tested this promo code and verified that it works as described.Exclusions apply.